Our Cordless Privacy Faux Wood Blinds are made fast and production begins immediately. For this reason NO changes can be made after your order is placed on this product. 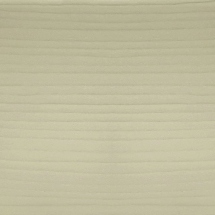 Traditional routless blinds have slats that can shift and come out of the blinds. 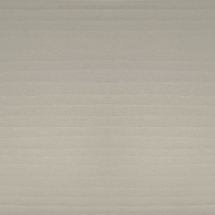 Our SmartPrivacy™ 2 inch blinds are designed with a smaller hole that is concealed when the blinds are closed to keep the blind slats from moving. This provides tighter closure, enhanced privacy and greater light control than standard blinds with route holes. The faux wood blind slats are UV tested with over 2000 hours so they are made to withstand heat and maintain color. Formulated so they require less force to raise and tilt the blinds. 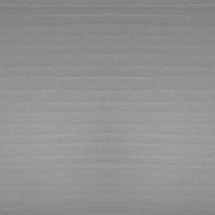 This slat formulation also makes these privacy blinds scratch and dent resistant. Moisture resistant, fire retardant, and lead free. Note: Width and length measurements may vary +/- 1/8". Depending on the height, the length of the privacy blinds may be up to 2" longer to accommodate slats. If you are mounting blinds or shades to fit within any openings such as between cabinets or walls use inside mount. The Cordless Privacy 2" Faux Wood Blinds CANNOT be side mounted and can only be top or back mounted. W: 17" 18" 19" 20" 21" 22" 23" 24" 25" 26" 27" 28" 29" 30" 31" 32" 33" 34" 35" 36" 37" 38" 39" 40" 41" 42" 43" 44" 45" 46" 47" 48" 49" 50" 51" 52" 53" 54" 55" 56" 57" 58" 59" 60" 61" 62" 63" 64" 65" 66" 67" 68" 69" 70" 71" 72" 0/0"1/8"1/4"3/8"1/2"5/8"3/4"7/8" H: 24" 25" 26" 27" 28" 29" 30" 31" 32" 33" 34" 35" 36" 37" 38" 39" 40" 41" 42" 43" 44" 45" 46" 47" 48" 49" 50" 51" 52" 53" 54" 55" 56" 57" 58" 59" 60" 61" 62" 63" 64" 65" 66" 67" 68" 69" 70" 71" 72" 0/0"1/8"1/4"3/8"1/2"5/8"3/4"7/8"